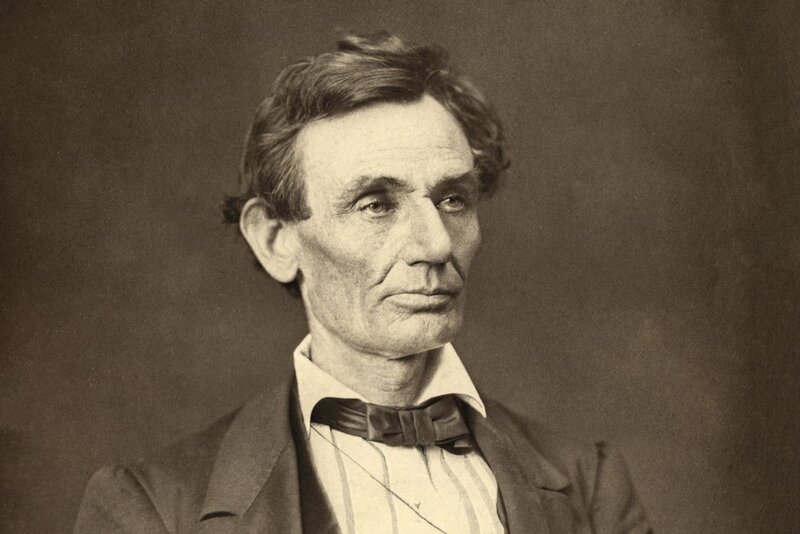 Abraham Lincoln, who famously served as America’s sixteenth President during the Civil War, was for most of his life prior to the presidency a lawyer. He was moderately successful, but certainly would not have been one of the “celebrity” lawyers of today. His average fee was between $5 and $20. The highest fee he ever charged was $5,000, which, though substantial for the time, was not common for him. But his success was notable enough to induce various people to ask him for his advice on not only becoming a lawyer, but the practice of law. His answers epitomize the homespun, down-to-earth, and common-sense way in which Lincoln famously expressed himself, even as President. Baked into his answers was a healthy dose of life experience which anyone intent on a successful career in any field could benefit from. Yours of the 24th, asking “the best mode of obtaining a thorough knowledge of the law” is received. The mode is very simple, though laborious, and tedious. It is only to get the books, and read, and study them carefully. Begin with Blackstone’s Commentaries, and after reading it carefully through, say twice, take up Chitty’s Pleading, Greenleaf’s Evidence, and Story’s Equity etc. in succession. Work, work, work, is the main thing. I am not an accomplished lawyer. I find quite as much material for a lecture, in those points wherein I have failed, as in those wherein I have been moderately successful. The leading rule for the lawyer, as for the man, of every calling, is diligence. Leave nothing for to-morrow, which can be done to-day. Never let your correspondence fall behind. Whatever piece of business you have in hand, before stopping, do all the labor pertaining to it which can then be done. When you bring a common-law suit, if you have the facts for doing so, write the declaration at once. If a law point be involved, examine the books, and note the authority you rely on, upon the declaration itself, where you are sure to find it when wanted. The same of defenses and pleas. In business not likely to be litigated—ordinary collection cases, foreclosures, partitions, and the like—make all examinations of titles, and note them, and even draft orders and decrees in advance. This course has a triple advantage; it avoids omissions and neglect, save your labor, when once done; performs the labor out of court when you have leisure, rather than in court, when you have not. Extemporaneous speaking should be practiced and cultivated. It is the lawyer’s avenue to the public. However able and faithful he may be in other respects, people are slow to bring him business, if he cannot make a speech. And yet there is not a more fatal error to young lawyers, than relying too much on speech-making. If anyone, upon his rare powers of speaking, shall claim exemption from the drudgery of the law, his case is a failure in advance. Discourage litigation. Persuade your neighbors to compromise whenever you can. Point out to them how the nominal winner is often a real loser—in fees, and expenses, and waste of time. As a peace-maker the lawyer has a superior opportunity of being a good man. There will still be business enough. The matter of fees is important far beyond the mere question of bread and butter involved. Properly attended to fuller justice is done to both lawyer and client. An exorbitant fee should never be claimed. As a general rule, never take your whole fee in advance, nor any more than a small retainer. When fully paid beforehand, you are more than a common mortal if you can feel the same interest in the case, as if something was still in prospect for you, as well as for your client. And when you lack interest in the case, the job will very likely lack skill and diligence in the performance. Settle the amount of fee, and take a note in advance. Then you will feel that you are working for something, and you are sure to do your work faithfully and well. Never sell a fee-note—at least, not before the consideration service is to be performed. It leads to negligence and dishonesty—negligence, by losing interest in the case, and dishonesty in refusing to refund, when you have allowed the consideration to fail. Abraham Lincoln, To Isham Reavis (November 5, 1855); Abraham Lincoln, Don E. Fehrenbacher, ed., Speeches and Writings, 1832-1858 (New York: Library of America, 1989), 364. Abraham Lincoln, To William H. Grigsby (August 3, 1858); Ibid. 485. William Blackstone, Commentaries on the Laws of England, in Four Volumes (1765-69). Joseph Chitty, Precedents in Pleading, with Copious Notes on Practice, Pleading, and Evidence, in Two Volumes (1839). Simon Greenleaf, A Treatise on the Law of Evidence, 16th ed. (1899). Joseph Story, Commentaries on Equity Jurisprudence as Administered in England and America (1835-36). Abraham Lincoln, To John M. Brockman (September 25, 1860); Abraham Lincoln, Don E. Fehrenbacher, ed., Speeches and Writings, 1859-1865 (New York: The Library of America, 1989), 180. Abraham Lincoln, To Usher F. Linder (February 20, 1848); Lincoln, Don E. Fehrenbacher, ed., Speeches and Writings, 1832-1858 (New York: The Library of America, 1989), 177. Abraham Lincoln, To James S. Irwin (November 2, 1842); Ibid. 105. Abraham Lincoln, Notes on the Practice of Law (c. 1850); Ibid. 245-46.